The famous, sophisticated-sounding Metisse actually translates to “mongrel” in French, a testament to British humor, as well as ingenuity. This bike is different than our usual offerings: built for offroad use, it is powered by a Triumph engine with a BSA gearbox. In the 60’s and 70’s, motorcycle design was still as much art as science: many innovative new designs came and went, and the physics that went into making a bike really handle were still not well understood, and many production motorcycles handled pretty poorly straight from the factory. Much of the problem was the primitive suspension available at the time, but a lack of frame stiffness and correct geometry played a huge role as well. Many small shops catering to serious riders created their own frames designed to work with existing engines to create sporting hybrids for road, track, and dirt use. 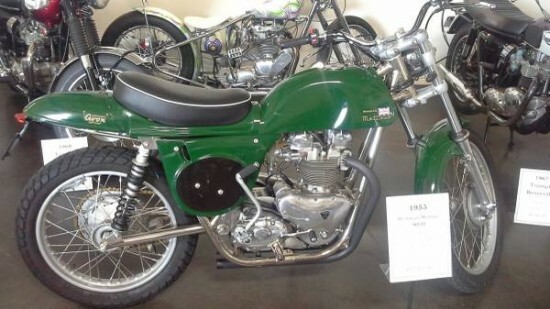 Among these, Rickman was one of the most successful, offering first off-road and then road-going packages based around British twins and singles, and later Japanese four cylinder bikes. 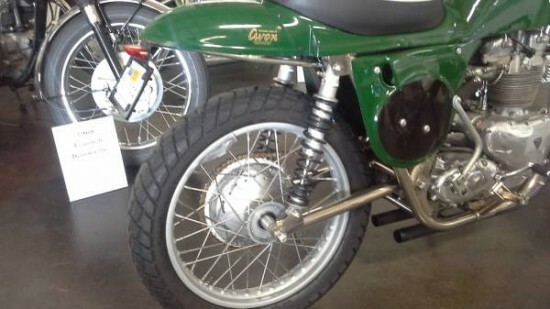 Their frames were constructed from distinctive lightweight, nickel-plated tubes and many featured internal oil-passages that replaced oil tanks and coolers. 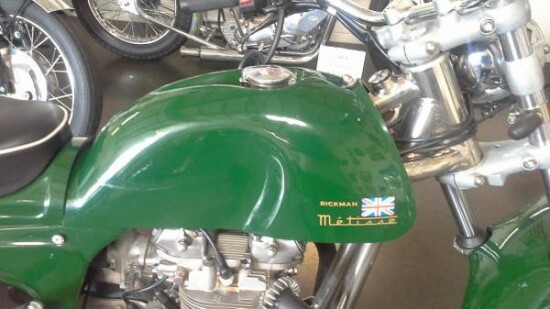 We have a unique, STREET LEGAL Rickman Metisse Triumph Mark III for sale! This is an oil-in-frame bike, powered by a 500cc Triumph twin. The engine also features an AMAL 386 Monoblock carb, Megacycle Cams, and a Lucas competition magneto that was recently rebuilt. 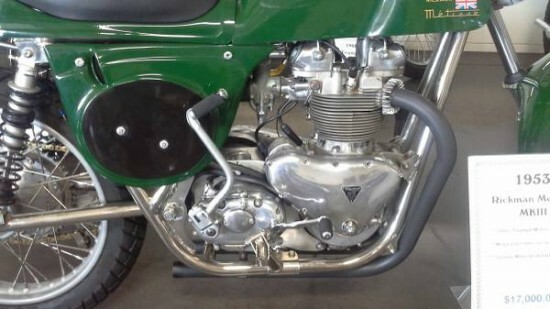 For better shifting, the engine has also been mated with a rebuilt BSA SCR 4-speed gearbox, and the BSA primary case was machined to fit perfectly with the Triumph Crankcase. 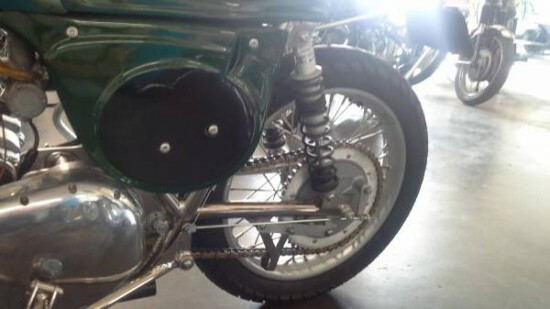 Bruce Holland Motorcycles in Boise, ID has rebuilt the motor & there is paperwork showing the details of the rebuild. This Rickman has original magnesium hubs in the front and rear, and are laced by Buchanan’s in Azusa to rare Dunlop spring steel rims. DOT approved Pirelli dual sport tires are currently installed on the wheels. A Sammy Miller kickstart lever unit is on the bike, which allows the lever to fold in closer to the frame, along with all new cables, grips, twist grip, levers & handlebars. The Rickman frame is nickel-plated & new, plus comes with a Certificate of Authenticity that states it was built specifically for the engine – allowing it to be titled as a 1953 model, instead of a special construction! The listed asking price is $17,000 for this rare bit of kit. True production numbers are a bit difficult to discern, as Rickman generally sold their bikes in kit form to be finished by the owners or local shops. But this looks to be in excellent shape and is definitely unusual. 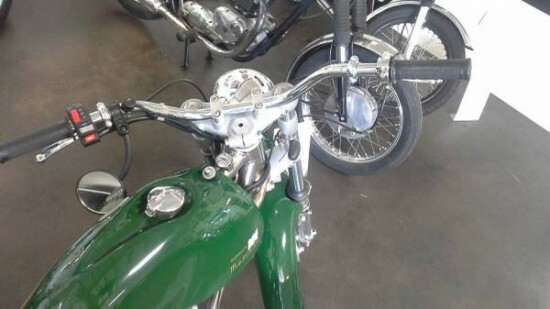 That the sellers are a specialist classic motorcyle shop in Orange, California to me only increases confidence. Looks like a very professional shop. I think so because the seller didn’t refer to Steve McQueen in the description. Kudos!